A Pele Signed New York Cosmos/NASL Game Ball. PSA/DNA Certification. A Pair of Maria Sharapova Game-Used Custom Nike 3/4 Length Pants. 2012 WTA Season. A Gerd Muller Game-Used #9 FC Bayern Munich Home Shirt. 1978/1979. A Serena Williams Game-Used Custom Puma Tennis Dress/Outift from the 2002 US Open Final (Women’s Singles Champion). Historic Rock and Roll Record “Louis Jordan – Saturday Night Fish Fry” Hand-Written Sheet Music and More! 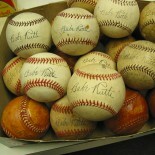 “The Ultimate Multi-Signed Ball” with Ruth, Gehrig, Hornsby, DiMaggio and Foxx with 17 More! 1968 Pirates Topps Baseball 20 Card Lot – incl. Roberto Clemente, Willie Stargell, Bill Mazeroski etc. 1970 August 26-31 – Original Isle of Wight Concert Weekend Ticket Sheet feat. The Doors, The Who, Chicago, Miles Davis, Tiny Tim, The Who, John Sebastian, Sly and the Family Stone, Donovan, The Moody Blues, Jethro Tull, Joan Baez, Jimi Hendrix etc. Auction has been EXTENDED to March 27th. These auction items are offered with the acknowledgement of Paul Walker’s immeasurable charitable contributions. A portion of the proceeds will benefit SavingAmericasMustangs.org ..Auction Ends March AUCTION EXTENDED.. NEW AUCTION CLOSE DATE..
Actor Paul Walker was most recognized for the Fast & Furious car-centric film series. He recently died along with his business partner and friend Roger Rodas on November 30, 2013 in a tragic high speed car crash. 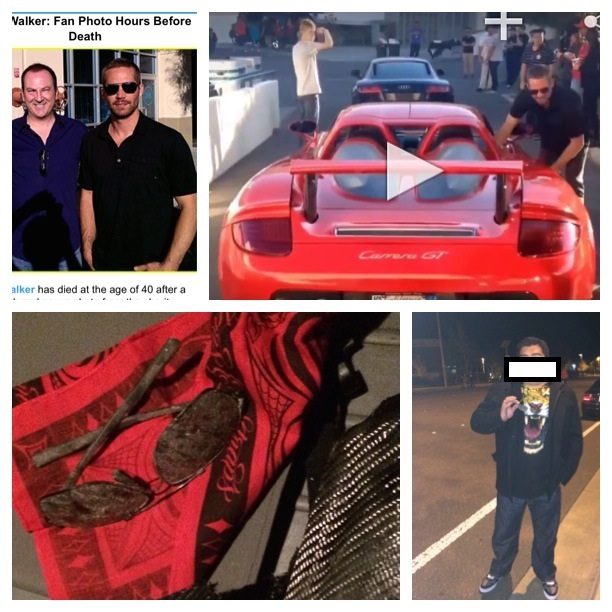 The car involved was a 2005 Porsche Carrera GT. Walker was attending a charity event at Always Evolving (his specialty car company), for Reach Out Worldwide. Shortly after the accident, word spread nearby that assistance may be needed with containing the fire that spread quickly. Several fire extinguishers were put into service from local businesses. The one in this auction lot (shown in the photo) was part of the dousing aid. The owner of this lot offering was nearby and on scene for information and assistance with officers and reporters. Once the site investigation was cleared with car debris hauled away and tape taken down, a responding officer allowed him as well as others back to the public site. The only thing left was a charred ivy brush, minor residual debris, a knocked down pole and tree. As the consigner walked the scene in disbelief and grief, he found a pair of sunglasses nearby in the ivy. After showing one of the officers, he was waved off. The glasses were dirty so he wrapped them in a handkerchief and put them in his pocket. He also found some residual debris nearby which he kept in memorandum. He mentioned to a reporter (unknown media outlet) what he found. At the time, he didn’t know who the glasses belonged to. The reporter asked a few questions and snapped a few photos of him with them. The following day, the consigner was reading news coverage about the tragedy and noticed several photos of Walker at the charity event shortly before he died. It seemed the sunglasses he found were an exact match to the ones Walker was wearing. More realization to the distinctive match came when he watched a video of Walker next to the red Porsche walking by it and leaning in right before the accident. As more photos and information came to light about a week later, Walker was seen in the car wearing the glasses. 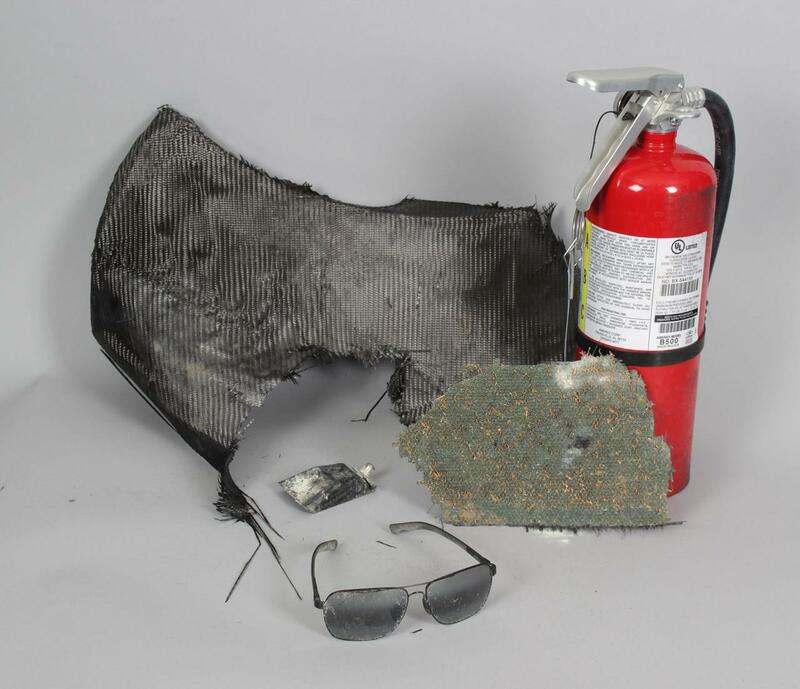 Presented for the auction are the soiled Maui Jim sunglasses found in the ivy and worn by Walker. The photo and video matches will be included with the provenance for the sunglasses as well as a letter from the owner. On scene photos, the fire extinguisher and residual car debris are also included as provenance for the original owner’s presence after the unfortunate event. they should be returned to Pauls family immediately! !